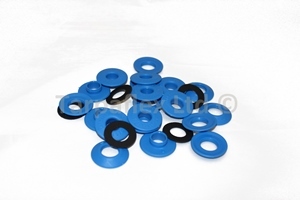 Additional eyelets are always recommended to supplement those already available on a tarpaulin. By creating more fixing points, any load upon the tarpaulin is spread which will mean less pressure on individual points. An easy way of customising your tarpaulin to its application, additional eyelets will help to lengthen the lifespan of your cover. 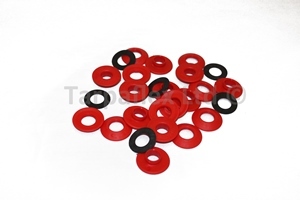 Snap 'n' Tap Eyelets are available in 12mm and 20mm diameters in various colours, and are made from tough UV stablilised polycarbonate. To use, simply pierce a hole in the material, and feed the male part through; position washer in place and finish with female part. Then, using an implement like a mallet, bond the eyelet tightly. 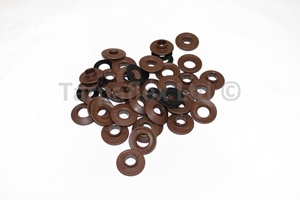 Brass Eyelets are very similar, in that they are commonly used to replace worn or broken eyelets, but can also be used to customise your tarp. 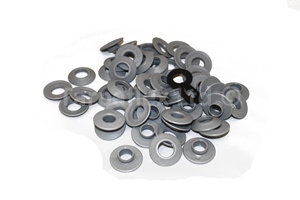 Made from brass-coated steel, the Eyelet Kits come complete with an installation tool, are 12mm in diameter, and are available in a 30-pack. 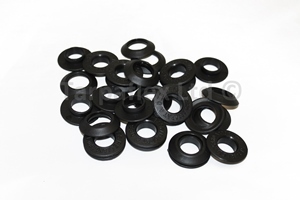 Eyelets are not guaranteed to withstand specific pressures; no claim is given to the strength eyelets will take. 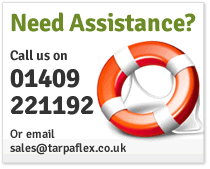 For further information on any of these products, visit our Online Brochure. 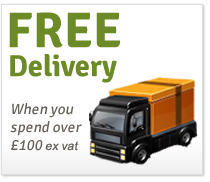 ORDER 1 PACK - P&P JUST £1.50 +VAT! 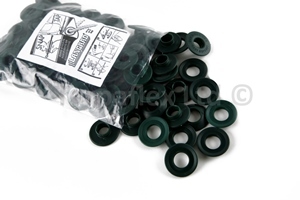 ORDER 1 PACK - P&P JUST £2.50 +VAT! 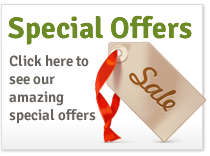 Want to get the latest offers?